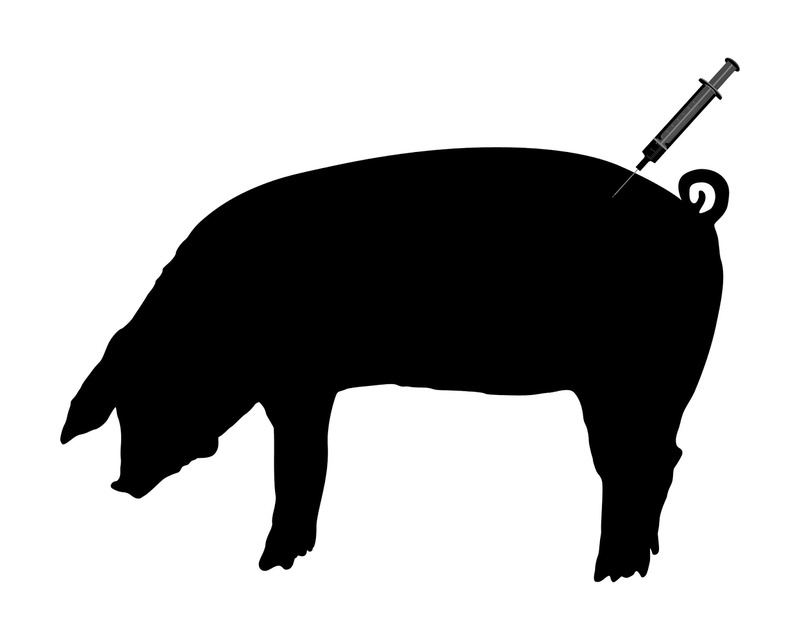 Could the Manitoba government’s return to a deregulated hog industry actually contribute to a world health crisIs? 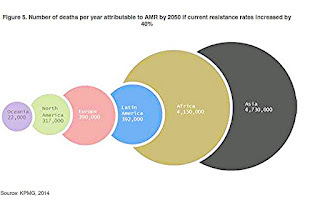 The PHAC goes on, “There is increasing evidence that the use of antimicrobial agents in livestock production is an important contributing factor to the emergence of antimicrobial resistance (AMR) in humans.” AMRs are sometimes called “superbugs” which, because of this inappropriate use, have developed a resistance to treatment by most or all of the medicines available today. They spread to humans who have either eaten pork, beef or chickens treated in a similar manner. And, if the world needed any more convincing, the respected New England Journal of Medicine calls AMR "a critical threat to public health." So scenarios where doctors have to advise their patients that “There’s nothing more I can do for you," are, alarmingly, becoming more frequent. But data from the Organization for Economic Cooperation and Development are even more alarming. Representing 35 developed countries, it notes that AMR is “highly prevalent” in its member countries (including Canada). It estimates the yearly loss of life, worldwide, probably runs into the tens of thousands, already. But current rates of resistance are increasing to the point where ten million people a year could be dying in this way by 2050! I have e-mailed both Premier Pallister and **“Manitoba Pork” to ask them about these concerns. Neither has responded, so far. So, if the world pays as little heed to this prevailing medical wisdom as the Pallister government and the industry are doing, for this Manitoban, "optimistic" just got harder to be. Nov. 5, 2017 at 9:07 p.m. I'm a journalist based in Shoal Lake. I am writing a series of stories on the effects if Bill 24 on your industry. I have a couple of questions for now and possibly more in future. How would you describe the extent to which antibiotics are administered in the hog barns of Manitoba? Is it common? Occasional? For treatment? Prevention? Growth promotion? All three? Do you have any plans to modify this usage, perhaps because of warnings from the WHO and others of the danger of such practice in promoting the growth of superbugs, dangerous to human health? Part Three - Animal diseases devastate herds, worldwide. Part Four - The Environmental Cost. There is a strict enforcement to deal with any pork and producer found to have residue in the meat . I also believe all drugs are to soon be controlled by vets ie doctors many producers follow this today . The WHO may see a problem but I would look a little further. I feel our Canadian pork is A OK . regards Glen. Glen Cummings, Environment Minister in the Gary Filmon Conservative government in Manitoba, 1989.